Inca Doves appear relatively unconcerned by human activities and are often found in urban areas. They are known to frequent bird feeders in some areas. Inca Doves prefer seeds. 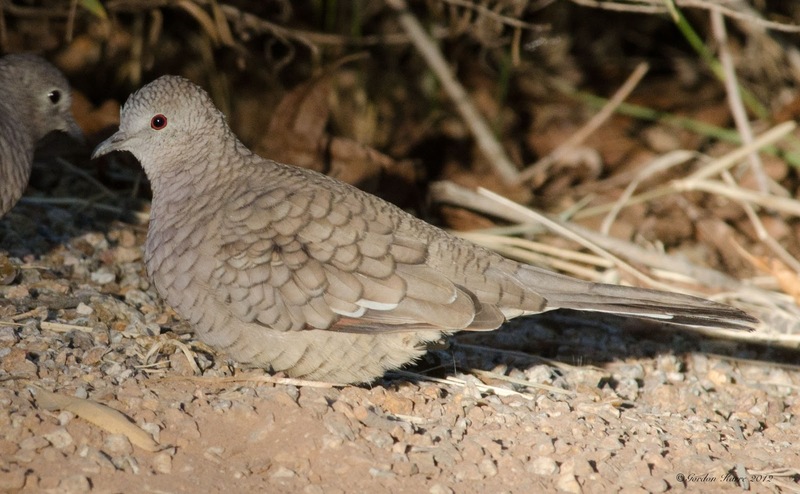 The call of the Inca Dove is a soft “who who” noise repeated in succession, sometimes up to 30 times in a minute. These doves usually pair off, and males will fight each other fiercely for females. His courtship ritual usually consists of strutting, calling, and bowing while displaying his tail feathers. 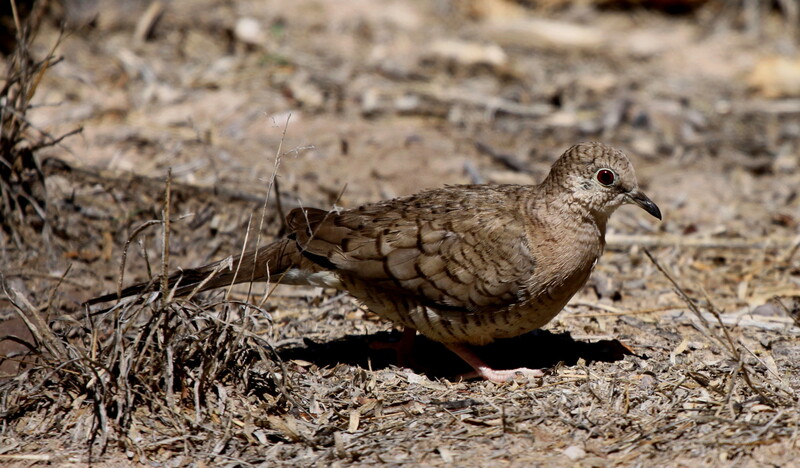 One pair of Inca Doves will usually establish a nesting territory of about 37 acres. Outside the breeding season, they congregate in large flocks of about 50 birds. This is especially common in the winter, when the doves will actually form tiered pyramids to stay warm. 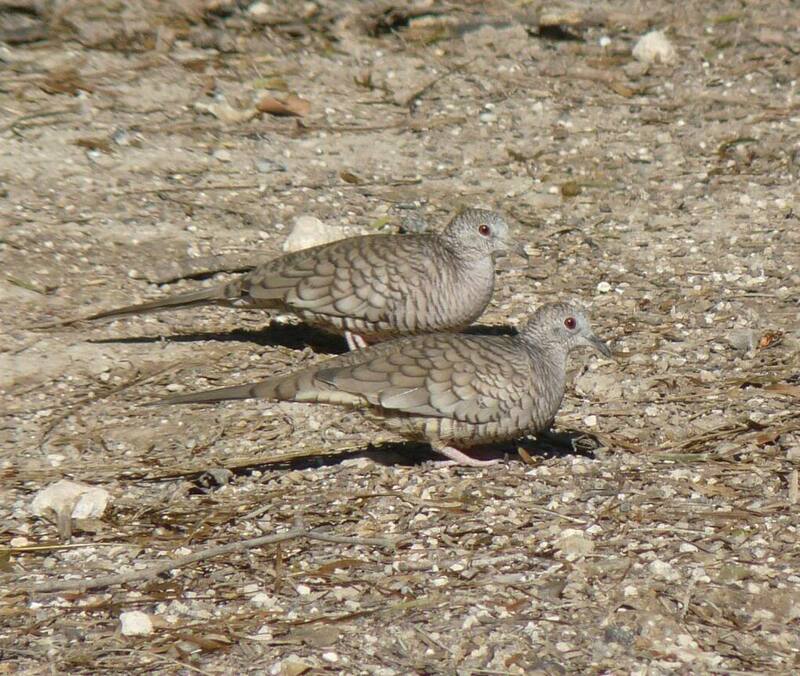 Usually Inca Doves are seen in edge lands, cultivated areas, urban and suburban areas, thickets, and savannahs. They are hardy and can tolerate both hot and cold weather, and they have been known to go for five days without drinking water. By maturity, Inca Doves are only about nine inches long, with an eleven inch wingspan. They usually weigh one and three quarters ounces. Inca Doves are grayish brown, and their feathers appear “scaly” over their heads, backs, and breasts. In flight, rufous coloration is visible on the wings. The long, squared tail of Inca Doves is edged in a white border. Inca Doves are found throughout the southwestern regions of North America. They frequent southwestern areas of the United States, northern Mexico, and range down through Central America to Costa Rica. Well known for their almost incredible ability to find water, legend has it that Inca Doves were used by early settlers of the North American southwest, who followed these birds in search of water. Inca Doves are fairly hardy and may be better able to tolerate heat and cold than some other birds. This does not, however, mean that they should be exposed to extreme conditions. In the wild, Inca Doves eat seeds, and a captive diet should reflect this in an appropriate manner. Grain and cracked corn can also be offered. 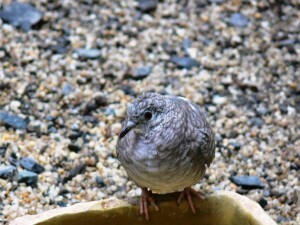 Platform feeders are often preferred over dishes or bowls when feeding Inca Doves. 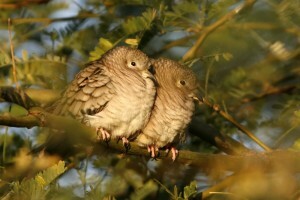 Inca Doves become sexually mature in their first year of life. Breeding occurs in spring and fall, and these birds usually raise between two and five clutches each season. Nests may be used more than once. 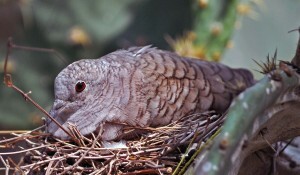 These are usually stick structures made in the crotch of a tree or bush, though Inca Doves have been known to use other birds’ nests or hanging basket structures near human habitations. Inca Doves are monogamous, and the breeding territory of a pair usually consists of about 37 acres. Two white eggs, less than an inch long, are deposited in the nest, and these eggs will hatch in about 14 days. Within 15 days, on average, the young will have fledged.